Editing photos with Photoshop will take sometimes but with PicMonkey, you can get some of the effects with few mouse clicks. 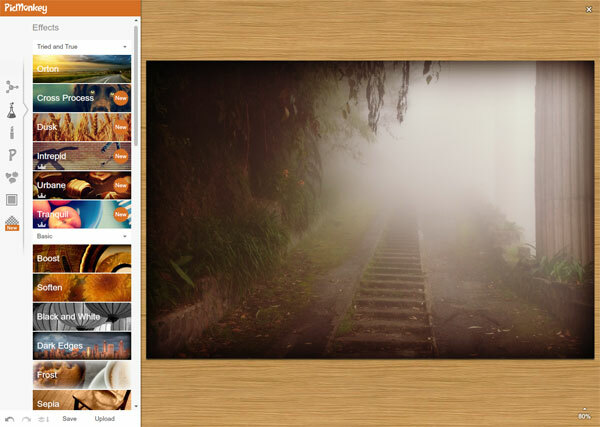 PicMonkey is an online photo editing tools let you upload your photos and apply effects, add text, change/resize, and add frame with simple clicks. It doesn’t require login or registration. One thing I noticed is that it shows PicMonkey logo badge on your photo while editing but it doesn’t show when you save the image. You have probably seen funny Facebook status messages with celebrities names or famous people. Yet, many of these are fake and you can have your own fake Facebook status messages too. One of my favorites is the Wall Machine, a online fake facebook generator let you create fake facebook status messages and it allows you to customize the photos, time, and comments. It requires to authenticate with your Facebook account. Another service is called Fakebook Quotes, a service that doesn’t require login and it converts simple chat conversations into fake facebook status messages. The service has few limitations which are blurred photos with censored last names. 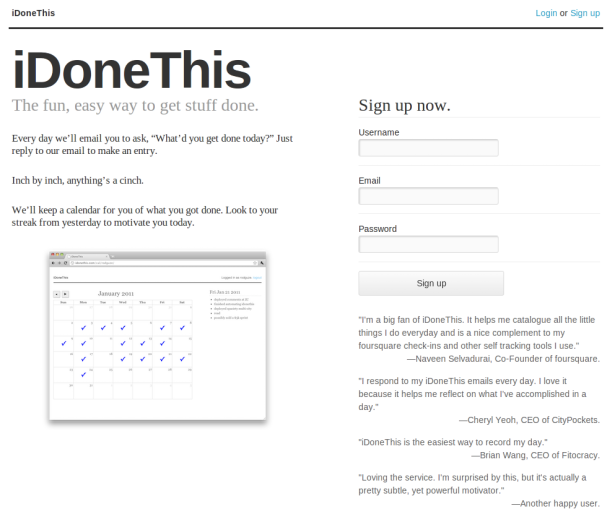 iDoneThis keeps a calendar of your completed tasks. Everyday, iDoneThis email you with “What’d you get done today?” and you just create the new entry of things you have done by simply replying the email. You can set the time zone and time you want to receive the email from iDoneThis. You can see the things you have done in the past in the iDoneThis calendar. Loupe is an online photo collage tool that let you to import photos from your Facebook, Instagram, Twitter and Tumblr accounts and make collage photo for you with simple steps. 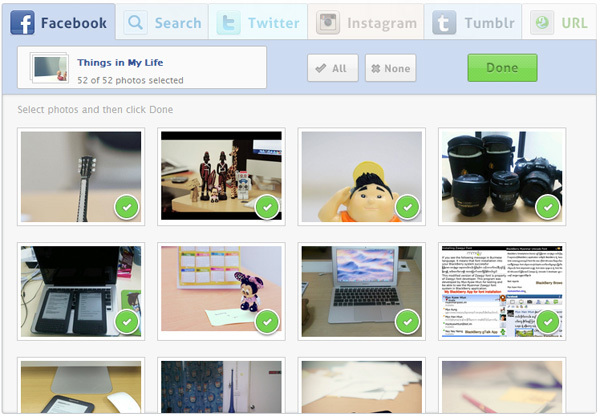 First step is to import photos from your social networking accounts like Facebook and choose the photos from each album. 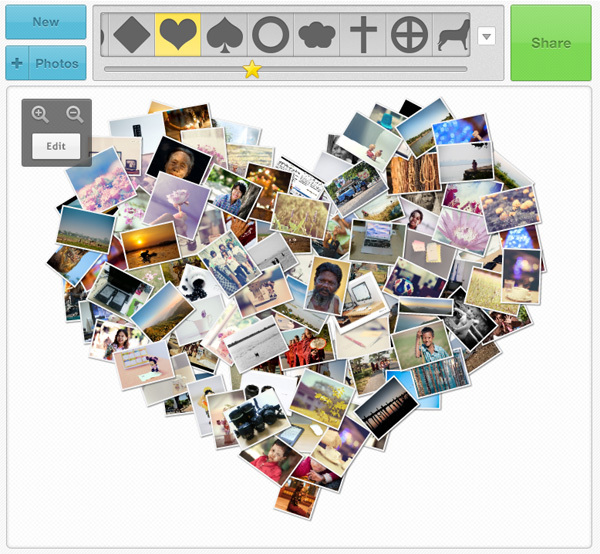 Second step is to select the shape you want to make collage photos. Loupe lets you to add and remove photos and also allow you to move individual photo. Once you have done, you can share to Faceobok with the link loupe created for you. Vizualize.me is an online too that help you create online resume with stunning infographic by connecting to your LinkedIn account. 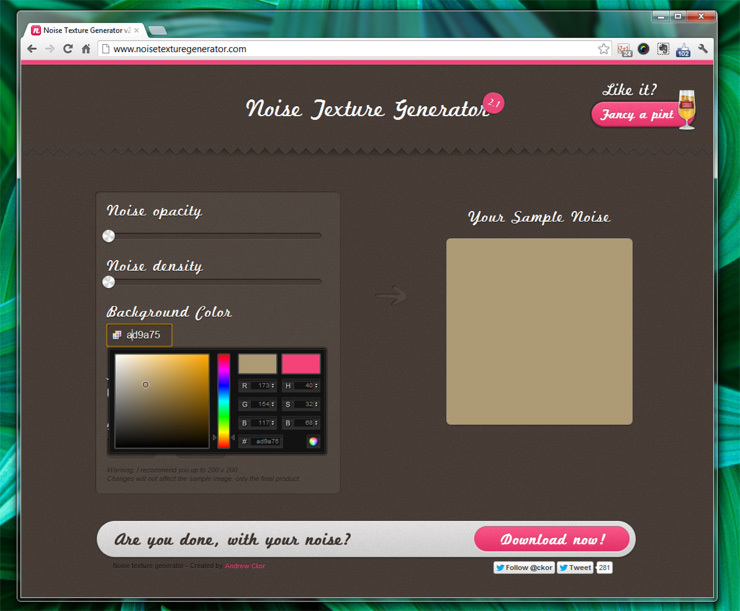 It also allows you to choose from number of infographic themes as well as specific color, fonts and background. Are you confusing that what time you should go to sleep when you’ve to wake up at certain time without dizziness or tired? Just select the time you want to wake up, this bedtime calculator sleepyti.me will shows you when you should go to sleep. As the page said, it works by counting backwards in sleep cycles. File sharing couldn’t be easier thanks to new features added in HTML5, new file sharing site offers drag and drop file sharing nowadays. Min.us is another file sharing service allows you drag files from your desktop and folders directly to your browser to start sharing or via our desktop and mobile apps for FREE. If you are web site owner or you like to have subscription service that you want to sent announcements to subscribers, you should check this service called Tiny Letter. Tiny Letter is a free subscription newsletter service which allows you to create newsletter for FREE. Signing up takes just few seconds. You’ll get permanent link or embed code which you can use it for your subscribers. Tiny Letter interface is simple and easy to use. When you want to send newsletter, just compose it and your newsletter subscribers will get email instantly. Aviary which I have posted in this blog before, that allows you to capture the whole web page. 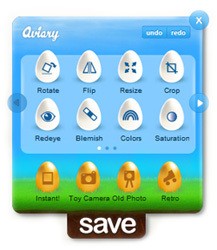 Now it has HTML 5 image editor that can change your photo with instant camera, toy camera, old photo and retro effects. It allows not only effects but also you can put the text, cool stuffs, adjust color and situation and some more and embed on your blog or site as well.